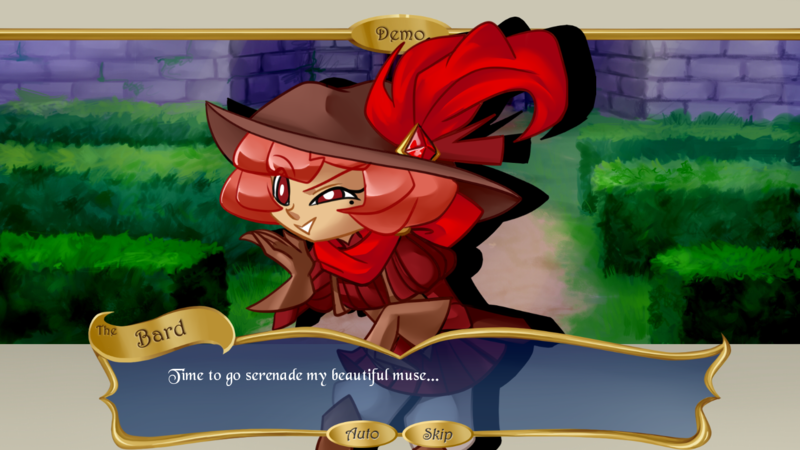 Chaotic Quartet is a short strategy RPG about a bard and her muse traveling to free the latter from a curse she's quite starting to fancy. In a fantastic far away land lived an adventurous Princess, daughter of a powerful and renowned King. The Princess had recently become infatuated with a Bard who fancied her lustrous hair, rebelious attitude and deep DEEP pockets. 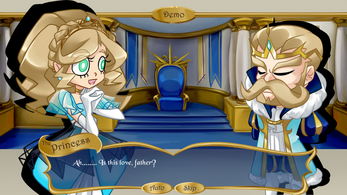 But the story would take a turn when dark forces curse the Princess and now the couple must travel to free the Princess of her curse... Or maybe not, since she seems to be happier than ever? This game was developed for QRMjam in the span of 5 days with the collaboration of @YukiLumino (on twitter) who did all of the art for it!! Support me on Patreon if you would like to see the rest of this project!! During the player phase, you may click on any enemy to see their stats and remaining health or click on an ally (The Bard) to give orders. While giving orders, you may change the action using the leftmost side buttons (Move, Melee Attack, Ranged Attack, Song or Potion). The tooltips below the actions explain what they do! Once you have moved, you may go back by clicking "Undo" (to undo your move) or "Cancel" to go back to the player phase without giving orders. Using "Song" to buff or "Potion" to heal requires selecting the action and then "Confirm". Using any attack requires selecting it, then selecting a valid target (The information of that target and the attack prediction (Hit%, Crit%, Damage) will appear on the right UI) and only then "Confirm". You may end your turn at any time you are not giving an order by clicking "End Turn"! The QRMjam build covers the first chapter of this story that will see 4 different (and very queer) ladies work for a common goal albeit with different and mostly chaotic reasons for its pursuit. Some functionalities are disabled for this build, like menus, the save system, gaining experience and battle animations (as they were incomplete by the deadline). Day 3 Day 1 Patch is now live? 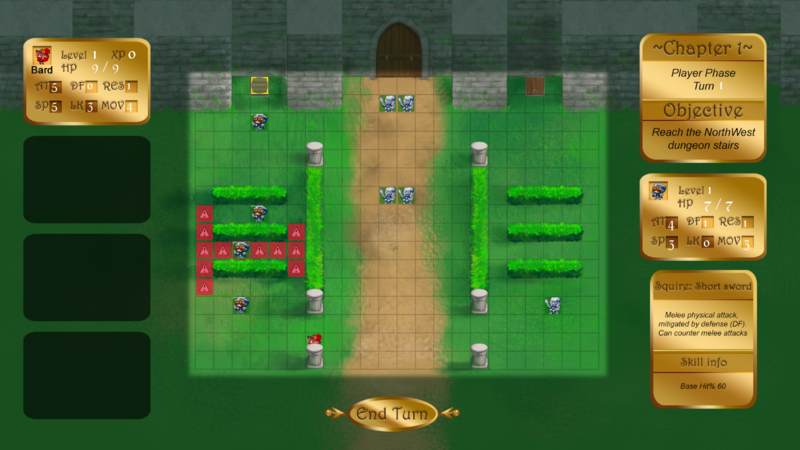 Interesting so far, biggest gripe is that combat is unfair: enemies have three chances to attack while the player has only two; when being attacked (counter), when approaching (there's an error with approaching attacks where the enemy will get an approaching attack even if the player had just attacked them or they were next to the player), and during their turn (I might be wrong there, the approaching attack might just be the regular attack but it's hard to tell as you have to finish battles within two one to turns or you are dead). 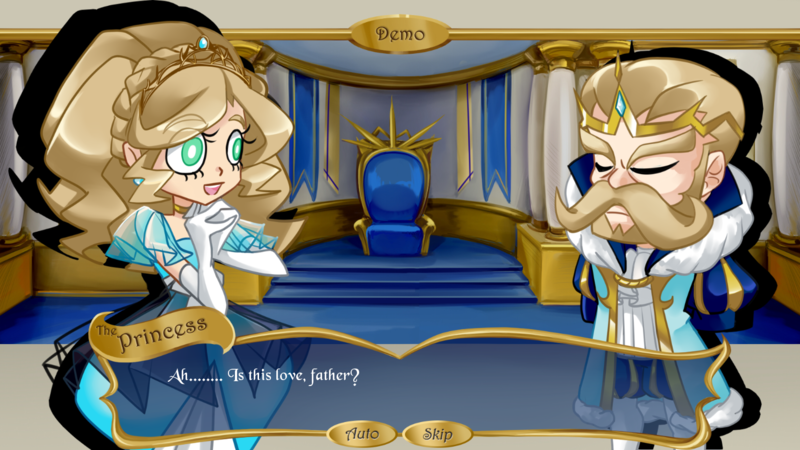 The game also randomly skips dialogue, this might just be my mouse or something but this doesn't happen with other ren'py games (or otherwise) so it's strange. I would also suggest balancing the damage, health and missing a tad, currently you die in one turn if you miss and are next to the enemy (maybe up health, down damage or remove the ability to miss (wether in just the first area, with the bard only or altogether)). Lastly; the field sometimes doesn't allow you to move to certain spaces even though there's nothing in that space, it is fixed by just restarting so it's not too annoying but would become so quick if the encounters were longer or more diverse. I can see how this would be more fun with more pawns and classes/abilities but as it is it's just too difficult of a first level to get into. Thank you for your interest!! That's a really long review and actually we're already working on some of the things you mentioned. OK, first of all, things that are poorly explained but ultimately not a bug: Everyone gets the same opportunities in attacks, when enemies "approach" it just means they're activating, it's just not visual sadly. But!! 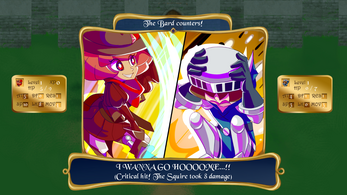 We are releasing a "Fancier Better Enemy Turns" patch this week with new graphics, better pauses, indicators for enemy activations / attacks and explanations for their skills that will hopefully solve most issues like this. The other thing is skips are not random, there's 2 of them and they're meant to indicate characters interrupting other characters. If you fast click through dialogue, the interrupted sentences will just be skipped all together, so that's a thing that's hard to fix really... Point is: It's intended. If you lower the text speed and let them play out it'll make sense (I hope). Empty space blocks do concern me. If you manage to take a screenshot of that error or can explain the specifics of cases when it happens it would be really helpful, since it hasn't shown up in testing!! I hope you enjoy the small update and continue to support us through development, again, thank you very much!! wait, is it supposed to be impossible to fight the guards? The only way to pass is running away from them?